A No Win, No Fee Agreement is also known as a Conditional Fee Agreement and enables you to make a claim for compensation, with no financial risk to you and without paying any legal fees upfront. In the event of your claim being unsuccessful for any reason, you will not have to pay any legal fees either to us or your opponent. This means that those who might otherwise have been unable to pursue a claim with the worry of escalating legal costs are now able to do so without concern. At BTTJ we offer No Win, No Fee Agreements on all types of Medical / Clinical Negligence cases. Lynette Walsh advises and represents clinical negligence claimants and has more than 14 years experience. She is also an Accredited Member of the Association of Personal Injury Lawyers and Law Society Panel. Action against Medical Accidents (AvMA) is a charity for patient safety and justice. 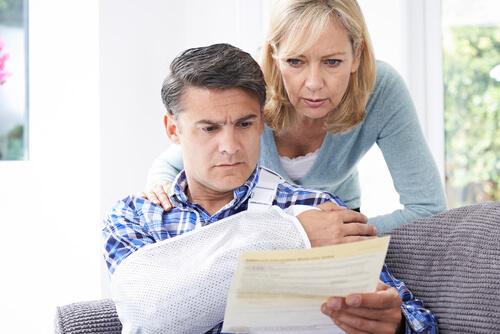 They provide support and free independent advice to people who have been affected by medical accidents. They have made the video below which highlights how they were able to help in a case of medical negligence. BTTJ Solicitors Tom Barnes and Richard Stanford are both AvMA panel members. If you feel you have suffered from medical negligence, please get in touch. Coventry solicitor Richard Stanford has been awarded membership of the AvMA (Action Against Medical Accidents) Specialist Clinical Negligence Panel. Richard, a medical negligence specialist with BTTJ, had to meet a series of 50- plus stringent criteria before his appointment to the panel, looking at experience, knowledge, case management, client care and monitoring client satisfaction, among other areas. Along with his colleague Tom Barnes, a partner at BTTJ who is Head of Medical Negligence, Richard is the only other AvMA panel member within Coventry and Warwickshire. Established in 1982, AvMA pioneered the concept of clinical negligence as a separate specialism within legal practice, setting up the panel soon afterwards to put Claimants in touch with specialist expert lawyers. Today the panel is recognised as an essential quality mark for clinical negligence practitioners who place clients at the centre of their practice. As part of his role on the panel, Richard is expected to represent the interests of referred (and indeed all) clients as well as the interests of AvMA as an organisation representing medical accident victims – including lawyers’ support group meetings, submission of case reports for the AvMA Medical and Legal Journal, and contributing to AvMA’s policy work. Richard’s career started at the Law Society when he also studied to achieve a commendation in the Graduate Diploma in Law and Graduate Diploma in Legal Practice, as well as a distinction in a Master of Laws Degree in 2009. Richard joined the Clinical Negligence Department at BTTJ in 2010. He has wide ranging experience in clinical negligence cases, including orthopaedic (including amputation), oncological, urological, infection, injury during surgery and the management of long term conditions such as diabetes and Crohn’s Disease. Richard handles cases from inception to completion, including trial where necessary. Richard has also been an affiliate member of the Society of Trust and Estate Practitioners since 2012 and can advise upon and create personal injury trusts to protect settlement monies from being means tested by the state. If you need any help with medical negligence, you can contact Richard directly on Richard.Stanford@bttj.com or 024 7653 1532. Concerns over operations performed by a Consultant Neurosurgeon at University Hospital in Coventry, Mr Hussien El-Maghraby. Following a request to review four individual cases, Surgeons from the Royal College of Surgeons carried out an inspection in September 2017 where it has been suggested that they criticised two brain surgery operations where the patients went on to die. Mr El-Maghraby was stopped from performing two surgical procedures consisting of complex spinal operations and brain surgery whilst the patients remain awake without further training and mentorship. With the introduction of the Civil Liability Bill into the House of Lords this week, the Ministry of Justice has produced their response to the report of the Civil Justice Committee (CJS) and has rejected the argument that there is insufficient evidence to overhaul how the discount rate in personal injury claims is set. Clinical negligence compensation awards are intended to put the Claimant in the position that they would have been ‘but for’ the negligence. 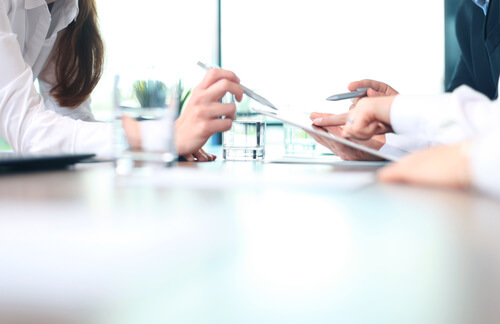 In the most serious cases, the Claimant is awarded a lump sum to cover future loss of earnings, care and future treatment and is expected to invest these funds and receive a return to use for their future needs. The Discount Rate is a figure used to calculate how much Defendants should pay Claimants in cases of life changing injury. On 20 March 2017, the discount rate was reduced from 2.5% to -0.75%, significantly increasing the amount of compensation that a Claimant could recover. Why is the discount rate being reviewed? There has been much debate given the reduction of the discount rate last year. If the discount rate is set too high, the value of the return will not keep up with inflation and the Claimant may not be adequately compensated. A Claimant with life changing injuries is likely to be financially dependent on the lump sum awarded for the rest of their lives. If the rate is set too low, the Claimant could be overcompensated with the taxpayer footing the bill. So is the Claimant expected to look for riskier investments to achieve a better return and what return can be expected? The balance has to be struck. Claimants have historically been treated as more cautious investors as they are expected to secure their future financial position. The Government has confirmed that the overriding objective of setting the rate remains to support the 100% compensation rule, i.e that the aim is to neither under-compensate nor over-compensate the Claimant by ensuring that the Claimant receives the money that they are expected to need and that this is fair for both parties. The Government has highlighted a need for Claimants to move away from a ‘risk-free’ approach which tends to ‘create excessively large awards of damages’ and that this is ‘unrealistic’. At the same time the Government shares the concern of the Committee that the setting of the rate should not result in significant under-compensation for the most vulnerable Claimant. The government has not dismissed the proposal that setting different rates for different cases may be appropriate. Although the decision to set the discount rate is likely to continue to rest with the Lord Chancellor, the Government has agreed with the proposal that an expert panel (comprised of an actuary, an economist, an investment manager and an expert in consumer affairs as relating to investments) will assist with the process of setting the rate. The Lord Chancellor’s report and the expert panel’s recommendations would be published at the same time once the rate to be set is decided. Despite criticism, the government has advised of their intentions to continue to retain the proposed interval of review at 3 years, although it is unclear how this will work in practice given that the discount rate applies to the most serious cases which typically take 3-5 years to conclude. The Lord Chancellor will however, at least be required to provide the reasons for setting the rate and the soon to be formed expert panel will have a role in analysing the data and considering actual investment behaviour. The Government is particularly keen to encourage periodical payment orders and that Claimants are adequately advised of these as an option. An orthopaedic injury refers to an injury of the bones, muscles and joints of the human body. A practitioner specialising in orthopaedics will often look after patients that have suffered bone fractures, who need joint replacement, ligament reconstruction surgery, hand, shoulder and elbow surgery, foot and ankle surgery and back and spine surgery. Orthopaedic negligence is when a practitioner makes an avoidable error which causes injury to the patient. Examples of orthopaedic negligence include: inadequate assessment of a patient before surgery, surgical errors, including mistakes in placing prosthetic joints, using an incorrect treatment such as a partial knee replacement when a full replacement is needed, inadequate postoperative care leading to infection, misdiagnosing fractures, poor operative technique and damage to nerves or circulation due to medical procedure. If you feel you have suffered as a result of orthopaedic negligence and may have an orthopaedic injury claim, please get in touch. Our team of expert clinical negligence solicitors are on hand to advise you on the legal steps that are available to you. Gynaecology is the medical practice dealing with the health of the female reproductive system. Gynaecological treatment covers a number of areas including cancer, medical management of a chronic condition, surgery or post-natal care. Most women will need gynaecological care once in their lives, the investigations and treatments carried out are all common medical procedures. The main procedures that can lead to gynaecological negligence as a direct consequence of a practitioner’s incompetence are: removal of an ovarian cyst, pelvic organ prolapse, endometrial ablation, hysterectomy (full or part uterus removal), salpingectomy (fallopian tube removal), myomectomy (uterine fibroid removal), oophorectomy (ovarian removal), colposcopy, abortions, sterilisations and dilation and curettage. Gynaecological procedures carry risks including but not limited to incontinence following surgery, perforation of the uterus during the insertion of a contraceptive coil, failed sterilisation, damage during laproscopic investigations or surgery, injury to bladder, bowel or uterus during hysterectomy, unnecessary hysterectomy following a caesarean section, defective consent to medical procedures and infection resulting in loss of childbearing potential and damage to womb or abdominal wall. 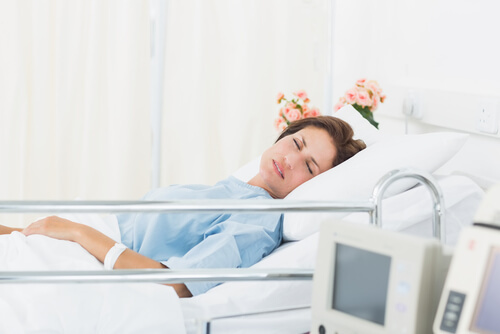 If you feel strongly that you have suffered a gynaecological injury as a result of treatment you have received or as a result of a failure by a doctor to diagnose a condition then you may have a potential negligence claim. Our dedicated team of female solicitors will provide expert guidance to helping you succeed and win you the compensation that you deserve. 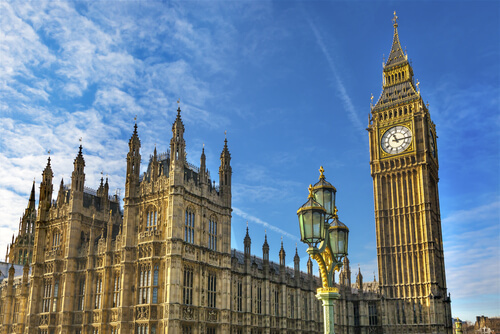 Members of the Society of Clinical Negligence Laywers (SCIL) have campaigned at Westminster against fixed fees for medical negligence claims. Lord Justice Jackson published a report in July on fixed costs in which he said a working group should be set up. A response to a consultation on fixed costs for clinical negligence claims is still being prepared by The Department of Health. The full story, as reported in the Law Society Gazette can be read here. Lord Justice Jackson’s review of civil litigation, including a recommendation for fixed recoverable costs in clinical negligence cases up to £25,000, has now been published and can be accessed here. However the charity Action against Medical Accidents (AvMA) have called the civil litigation review disappointing and are concerned about the effects on patient safety as well as access to justice. AvMA is disappointed that Lord Justice Jackson’s report fails to truly recognise the impact that imposing fixed recoverable costs on clinical negligence cases will have. Although he recommends limiting the fixed costs regime to cases with damages of £25,000 or less, this represents the majority of clinical negligence claims. Included within this are very serious and complex claims including stillbirths and child deaths; negligent neglect of older people and claims for people with mental health and learning disability problems. Clinical negligence claims are far more complex than personal injury claims and imposing fixed costs – no matter how long and inappropriately the claim has been defended – means that many of the claims will not be feasible. Even if a claimant did find a solicitor to represent them and won, they could end up losing most of their damages to meet costs which traditionally would have been met by the losing side. “We are disappointed that Lord Justice Jackson has not accepted the evidence he was given and has not fully appreciated the unique challenge of clinical negligence claims. If fixed costs do go ahead it is imperative at the very least that there are exceptions for all fatal cases, cases including children and adults who lack capacity. AvMA is concerned about the effect of the proposals on patient safety as well as access to justice. On 30th January 2017, the Department of Health published a 12 week consultation, closing on 2nd May 2017, seeking views on proposals to introduce a system of Fixed Recoverable Costs in Lower Value Clinical Negligence Claims. It is proposed that a Fixed Recoverable Costs regime would apply to clinical negligence cases involving awards of between £1,000 and £25,000 brought against the NHS as well as both not for profit and private healthcare providers in England and Wales, including dentists. This would limit the amount of legal costs that could be recovered by solicitors who win clinical negligence claims on behalf of their clients to a set proportion of the damages (compensation) awarded to the injured patients or their families. However, there are grave concerns from a number of bodies including charities for patient safety and justice and claimant solicitors regarding these proposals. One concern is the implications for access to justice as legal costs recovered by solicitors could only be a proportion of the damages secured for the patient/family which may mean that many would-be claimants would not be able to get a solicitor to represent them in cases where the damages are relatively low. In effect many victims of serious neglect and negligent treatment such as in older people like we have seen at Mid Staffordshire and child death cases such as those seen at Morecambe Bay would simply be unable to have access to justice. Another concern is the implications for patient safety, as an unintended consequence of the Fixed Recoverable Costs proposals would be the creation of a perverse incentive for NHS organisations to adopt a ‘deny and defend culture’. This is because they would be safe in the knowledge that simply defending and denying liability in many cases will mean that an injured patient or their family will be unable to take things further due to costs limitations. The result of this would be that important learning opportunities about lapses in patient safety would be lost. It is often the case that when errors have not initially been appreciated or admitted by the health provider, it is only the litigation process which brings these errors to light. A significant number of patients have been recalled as part of an investigation over the treatment given to cancer patients by urologist, and Channel 4’s Embarrassing Bodies’ doctor, Mr Arackal Manu Nair at Solihull Hospital (Heart of England NHS Trust) and the privately-run Spire Parkway Hospital. It is alleged Mr Nair operated on one man who did not have cancer, while leaving another incontinent and infertile. Mr Arackal Manu Nair, otherwise known as Manu was suspended from his post as an NHS Consultant Urologist at Solihull Hospital when colleagues raised their suspicions about his surgery with hospital bosses and he was referred to the General Medical Council. He has subsequently resigned from his post at the Heart of England NHS Trust. Concerns over Mr Nair’s operations have led to a recall of Mr Nair’s prostatectomy patients at Spire Parkway Hospital and BMI Priory Hospital, Birmingham. There are approximately 170 radical prostatectomy patients within the NHS who were treated at Solihull Hospital and Spire Healthcare group. A radical prostatectomy is a common surgical procedure to remove the prostate gland where patients are diagnosed with prostate cancer. 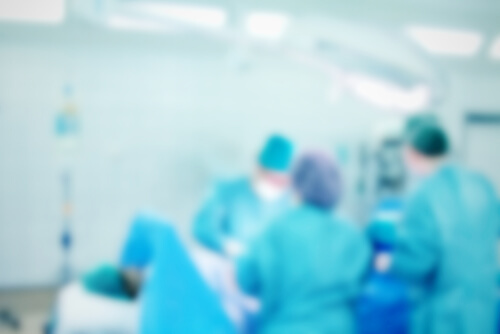 We understand that the central issues concern whether patients were properly advised and surgery was undertaken unnecessarily and the degree of the need for surgery. A prostatectomy is a fairly common operation for prostate cancer. It is an extensive operation to remove the whole of the prostate gland, but other treatment options are usually available, all of which should be discussed with the patient. The Independent hospitals and the Heart of England NHS Trust asked the Royal College of Surgeons to review Mr Manu Nair’s surgical practices both in the NHS and the private sector. It was in light of the result of this review from the Royal College of Surgeons that patients were subsequently recalled. The investigation into Mr Manu Nair’s practice has echoes of the investigations into the cases of ‘cleavage-sparing mastectomy’ by disgraced Solihull breast surgeon Mr Ian Paterson who performed hundreds of unrecognised operations at Spire Hospital at the Heart of England NHS Trust that breached medical guidelines and left women at a greater risk of breast cancer returning. Mr Paterson also performed unnecessary mastectomies, telling some patients they had cancer when they did not. Victims of Mr Paterson are stepping up their battle for justice and compensation against the Spire Hospitals by launching a petition. See the link provided for more information. Review the letter you have received following your recall. Do you wish to take the matter further? If so would you like an apology and/or compensation? Have you already lodged a complaint/spoken to solicitors? We would like anybody who was a patient of Mr Manu Nair to be aware of the issues concerning his work and to have the opportunity, not only to be reassured medically, but to be able to make an informed decision on their rights and available actions. 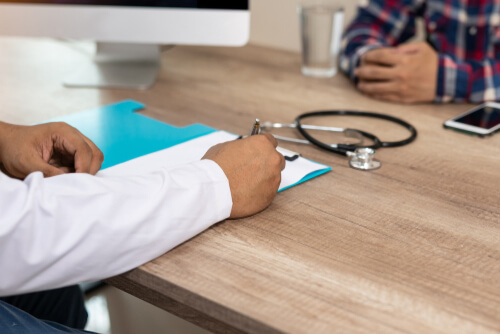 If you have been treated by any doctor or clinician either as an NHS patient, or as a private patient, and have concerns relating to your treatment then do not hesitate to contact our Clinical Negligence team for a confidential, no-obligation discussion and free advice. We are able to offer a Conditional Fee Agreement (i.e. no win, no fee) or act under Legal Aid in appropriate circumstances.